The COOLEAD M8S, is for sure one of the best kodi box in the market and the price makes it the Best Value kodi box as well! It plays at a resolution of up to 4096 x 2160 resolution, twice clear than HD resolution. This box produces incredible TV pictures and everything is crystal clear, it is truly UHD. The best way to test it’s storing it in the hard drive and play it with the integrated 4K player. A easier way is to play a 4K video from youtube. It’s hard to find a kodi box with 2GB RAM, normally they have 1GB RAM, which is not bad, but more RAM means that you can have more apps running in the background without any lagging or freezing. COOLEAD M8S has two channel WIFI design, which gives it a better WIFI performance than a single channel. Dual channel band means that it can connect to 5GHz and 2.4Ghz WIFI bands, to avoid crowding. 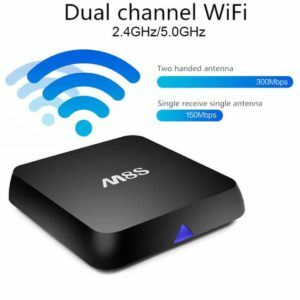 Dual band TV Boxes can connect to either of the two bands, but single band TV Boxes only connects to 2.4Ghz band. The same applies to smartphones and laptops. The Amlogic S812 has a high performing CPU with a maximum clock speed of 2.0GHz. It has 4 core(s), making it an extremely efficient multi-tasking when compared to dual core processors. The Octo Core Mali-450 is a separate graphics processor that accelerates the creation of images to be outputted to the TV. Its entire architecture is shaped to process large blocks of data at the same time. In other words, a good GPU means better graphics – this is a good one. 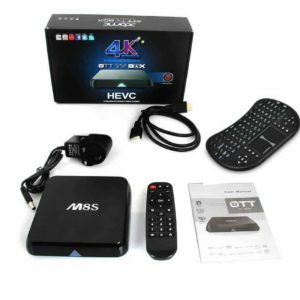 It comes with Kodi and the most famous add-ons fully loaded, so you won’t need to mess around downloading repositories and looking for add-ons on the internet to start using the best of Kodi. Straight out the box, connect to your internet by wifi or ethernet cable and you’re ready! 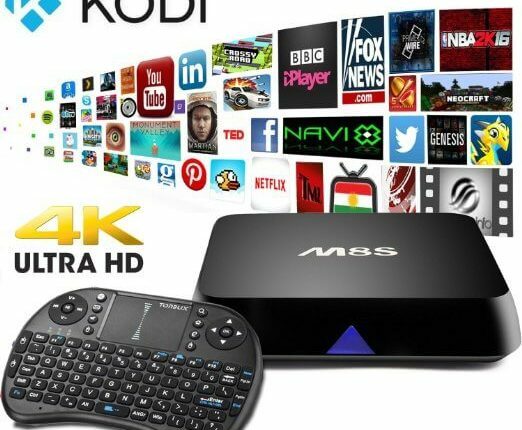 Normally these tv boxes comes with a normal tv box remote, but without a keyboard you can’t easily search an add-on, surf in internet or play a Android game in your TV. So when you buy an Android TV Box, after a couple of days you gonna feel the need to buy a mini wireless Keyboard for your box. The COOLEAD M8S comes with a mini wireless keyboard INCLUDED that works very well. Simply plug the USB dongle into the back of your Android box and no more headaches trying to type letters in a normal remote. 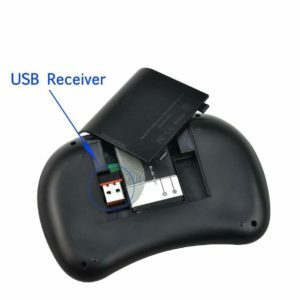 Unlike many other boxes, the M8S box has bluetooth so you can share files through bluetooth, connect a bluetooth mouse, speakers or whatever else you may feel like connecting that is bluetooth compatible. We highly recommend amazon because it’s Safe, Cheaper, the delivery is FREE and fast. Does the COOLEAD M8S Work abroad in foreign countries… for example Europe ? … Asia? Does it require a certain Broadband width? Does the box enable you to view all UK TV terrestrial channels? What about BBC iPlayer ITV catch up considering the changes that have recently been made by the BBC licensing Corporation preventing overseas viewing of their channels? Does it come already loaded or does it involve some apps to be loaded up or downloading from the internet? These Android TV Boxes work in any country with internet access. The box enables you to view anything, but you will need to find the right add-ons for your requirements. Fortunately these boxes normally come fully loaded with great add-ons. You have great kodi add-ons to stream movies and sports. For example Exodus for movies and SportsDevil for sports. You can still use BBC iPlayer ITV if you use a VPN. I recommend IPVanish. When you buy a box, it says in the description if it comes fully loaded with kodi add-ons. That means that comes with the most popular kodi add-ons on it. How to power on using keyboard? Hi. You can’t power on using the keyboard. It will have to be your original remote control. You can buy this in the U.S.? Yes you can. You will find it in Amazon US. is the usb dongle include? There is a mini usb charger that you can connect to any device with a usb port to charge it. You can even use a mobile charger to charge the keyboard (excluding apple devices). Great specs, decent price. 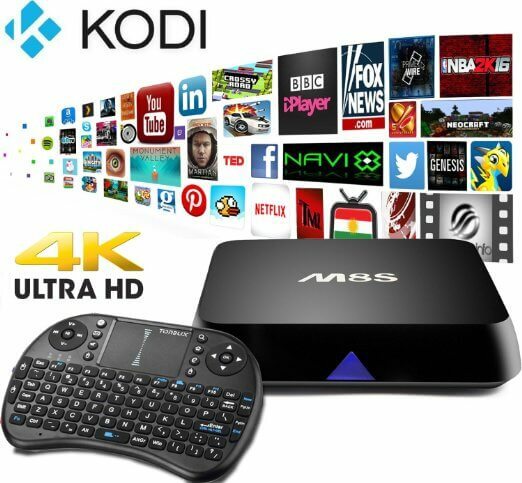 I was looking for the best value Kodi box and I just found it!